Space Siege demo , Bring style fighter spaceship extremely attractive space for PC. As the game action or strategy . 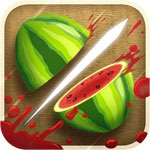 Fruit Ninja , Fruit Ninja is the game s classic fruit guillotine Halfbrick , now has versions for Windows 8 . 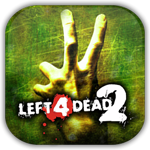 Left 4 Dead 2 , Left 4 Dead 2 is the horror action game by Valve . The game will put players on the world scene in the doomsday . To survive you just can not stop fighting with scary zombies everywhere .